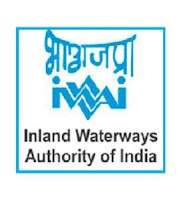 India has an extensive network of inland waterways in the form of rivers, canals, backwaters and creeks. The total navigable length is 14,500 km, out of which about 5200 km of the river and 4000 km of canals can be used by mechanized crafts. Applicants who have completed 10th with Diploma in Mechanical Engineering / Certificate of competency as Driver/Petty Office from Technical Branch / Dredge Master Certificate or equivalent from a recognized Institute for IWAI Recruitment 2018.